Brad McDavid PH.D, Director, and Program Director Chief Steve Sutton. 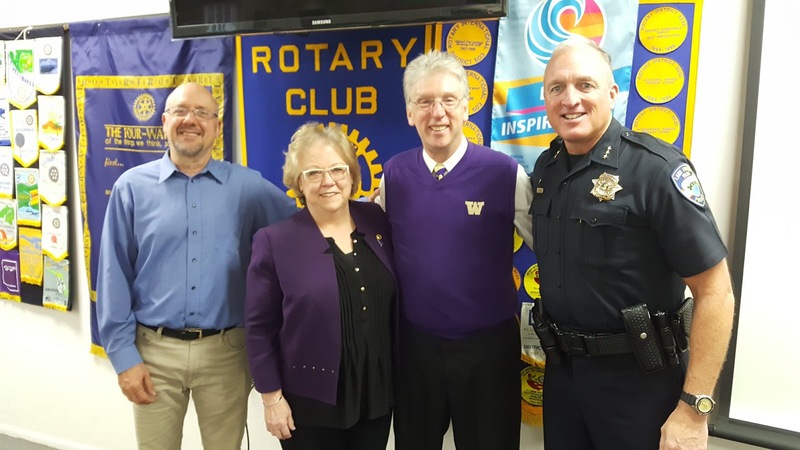 At their November 14, 2018 breakfast meeting, the Rotary Club of Lake Forest Park heard from Brad McDavid, PH.D, who has been Director of Athletic Bands at the University of Washington for over 30 years. Among a myriad of responsibilities, he oversees music selections, choreographs the complex marching designs, and negotiates copyrights - all while managing and directing a band of 240 students. His largest endeavor was the design of the Olympic Rings in Beijing with a cast of 1,700.